Help! 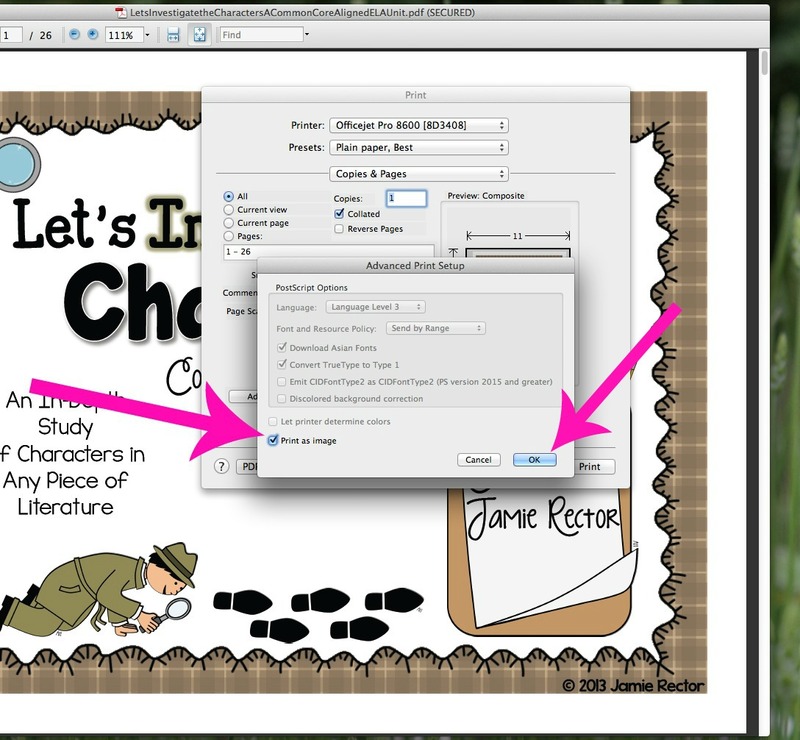 I can't save or print my TPT file! "I can't save my TPT file that I just purchased! It's asking me for a password!" "My TPT file that I just purchased has letters missing or black boxes where letters should be or it's just plain blurry!" First, let me explain the first issue. TPT sellers are required to offer their downloads in a secured PDF format to protect the copyrights of both font and graphic artist designers' work. 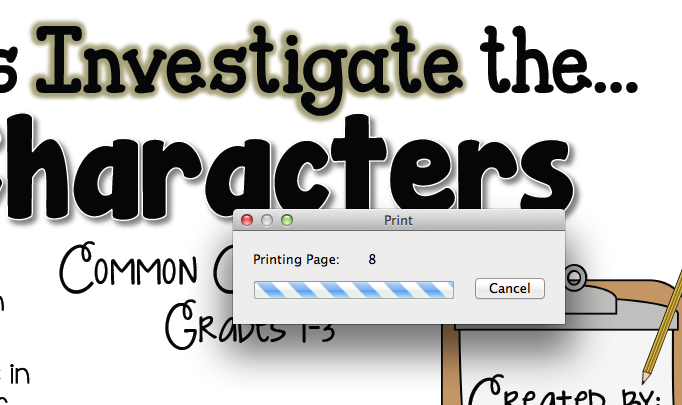 In easy talk, font and graphic people don't want you to steal their work (and rightfully so)! 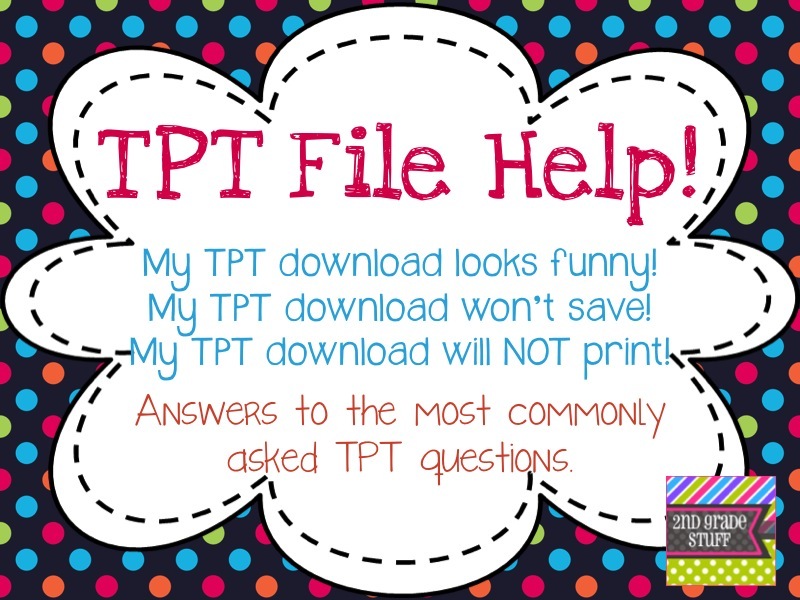 If you are trying to save the file you downloaded from TPT and it is asking you for a password, that's an easy fix! In all of my product descriptions, I state: ** IMPORTANT NOTE: THIS FILE IS ENCRYPTED AND MUST BE OPENED IN THE LATEST VERSION OF ADOBE READER IN ORDER TO SAVE! ** So, if you're having issues saving, follow the steps below. 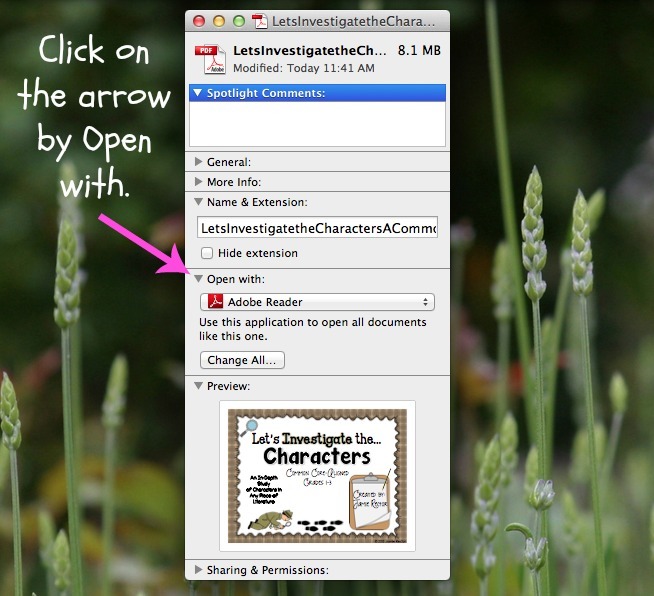 This will also resolve the issue of black boxes, missing letters, or a blurry mess! 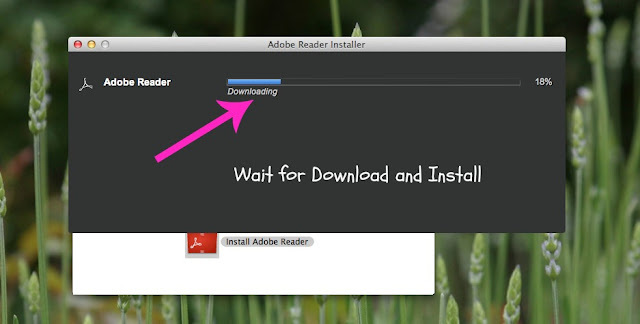 You just need to install/update to the latest version of Adobe Reader - a FREE download from Adobe. 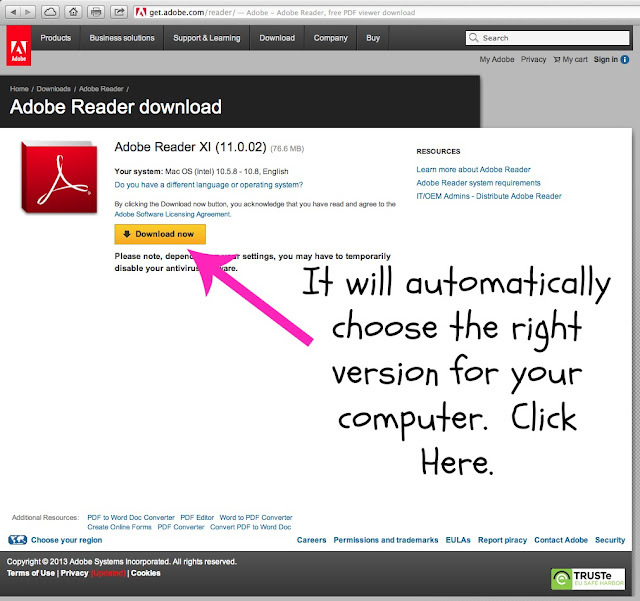 It will automatically find the right Adobe Reader for your computer and you'll see a screen like this. On a PC it may look a touch different, but same concept. 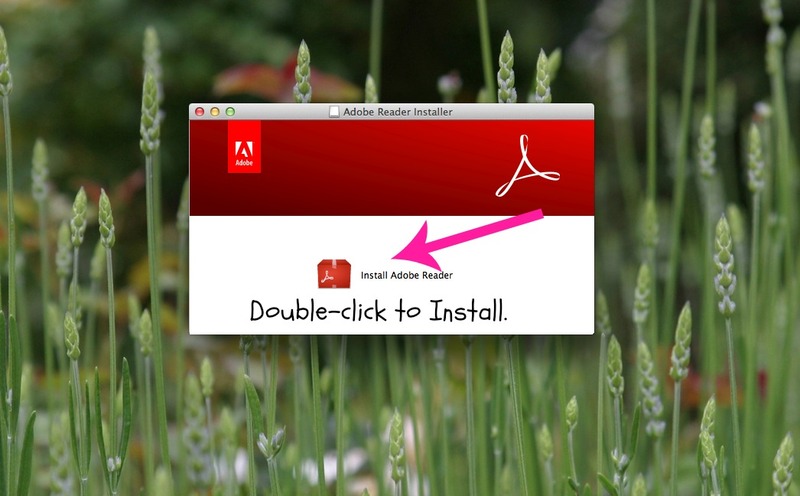 Next you will find the file in your Downloads and double-click. This is what mine looks like on a Mac. On a PC, it may look a little different, but you will still double-click the file you downloaded to install it. Then it's a waiting game to install Adobe Reader. It may look like this on your computer. Be patient and let it download and install. There's ONE more tip that will resolve the issues above and it's a BIG ONE! 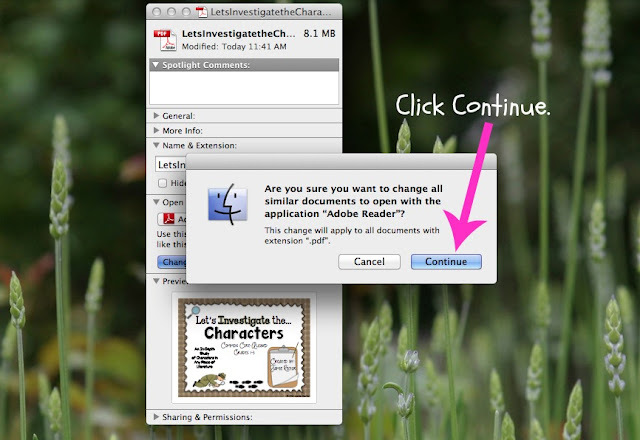 Instead of double-clicking, Control-Click (on a Mac) on the file icon or file name. It will pull up a menu like you see below. 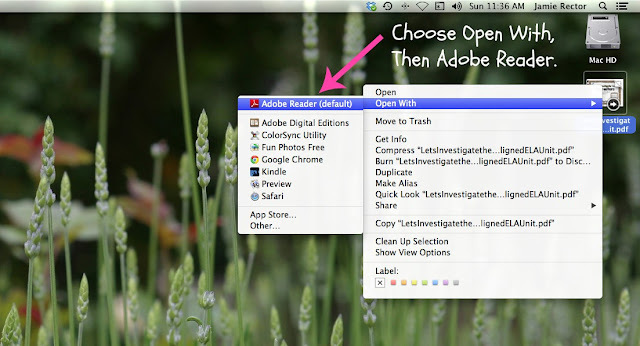 Choose Open With, then Adobe Reader. Adobe Reader will be further down your list. Mine is already set to default :) Find and Click Adobe Reader. 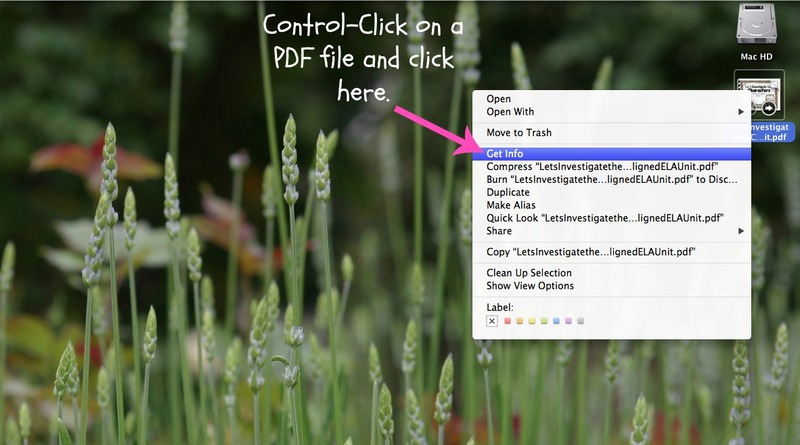 "Do I have to do that every time I want to open a TPT file on my Mac?" 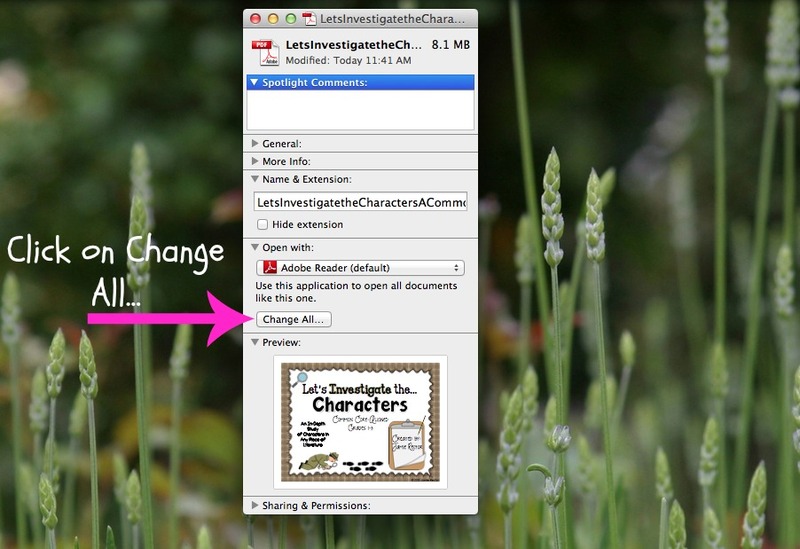 How do you make that change "stick" on your Mac so that all of your PDFs from TPT open in Adobe Reader? Follow the steps below. First Control-Click on any PDF file. 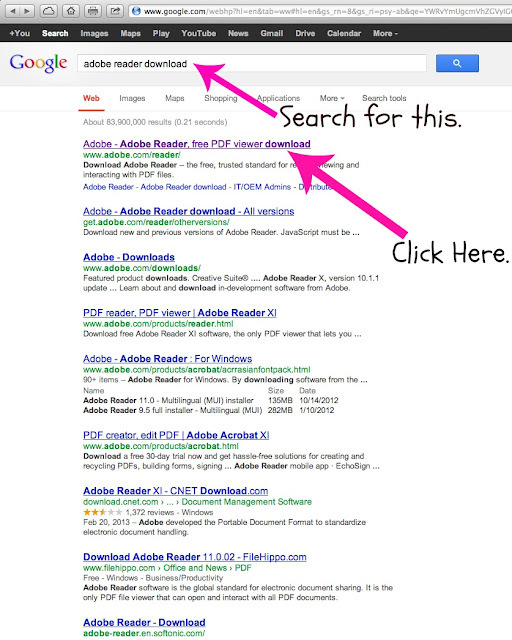 *Make sure it's a PDF you're clicking on! * It will bring up a menu like this. 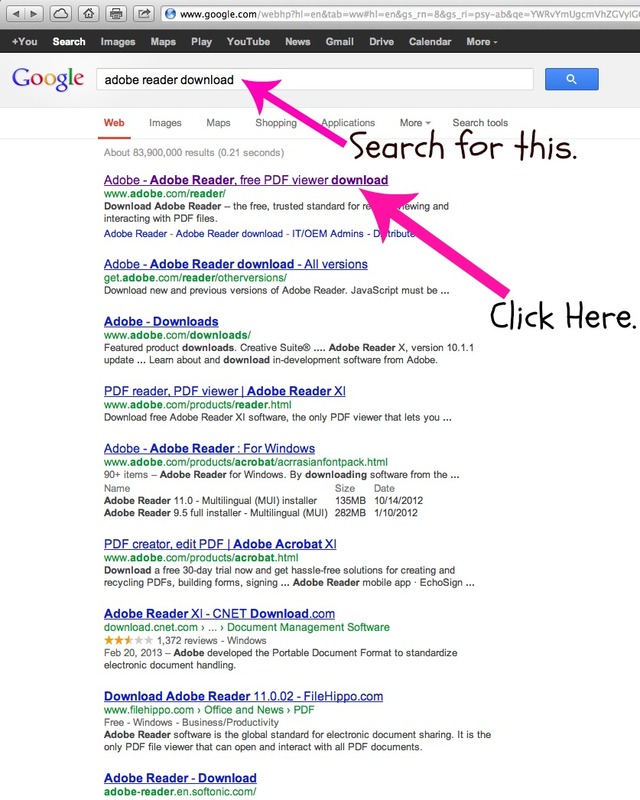 Click Get Info. 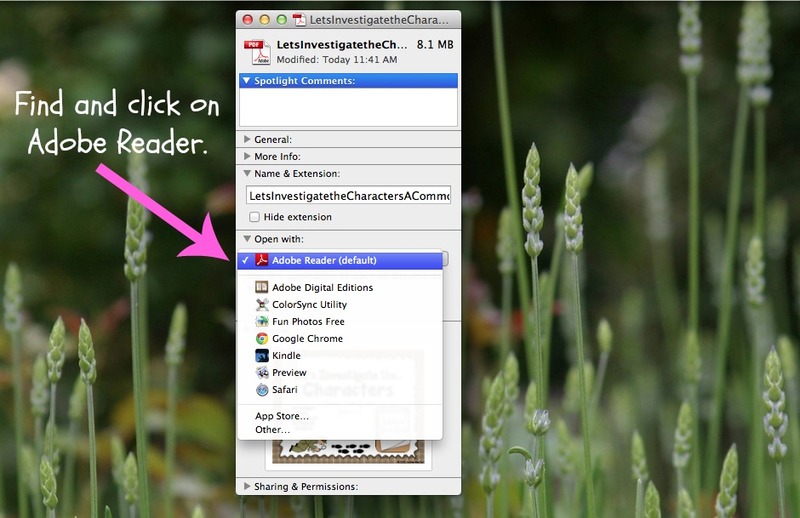 Click on Change All... to make Adobe Reader the default application for opening all PDF files. It's going to ask you if you're sure. Of course, you're sure! Click Continue. "My TPT file just won't print on ANY computer or ANY printer." This one is an easy-fix. The problem arises because lots of our TPT files are full of graphics that can "bog down" a computer and/or printer rather easily. But like I said, easy fix! 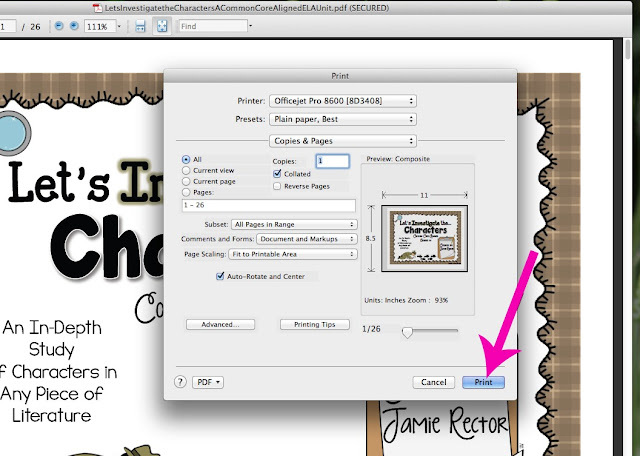 When you have the file opened in the latest version of ADOBE READER (see details above), Click File, Print. When the Print menu opens, find and click Advanced... as shown below. 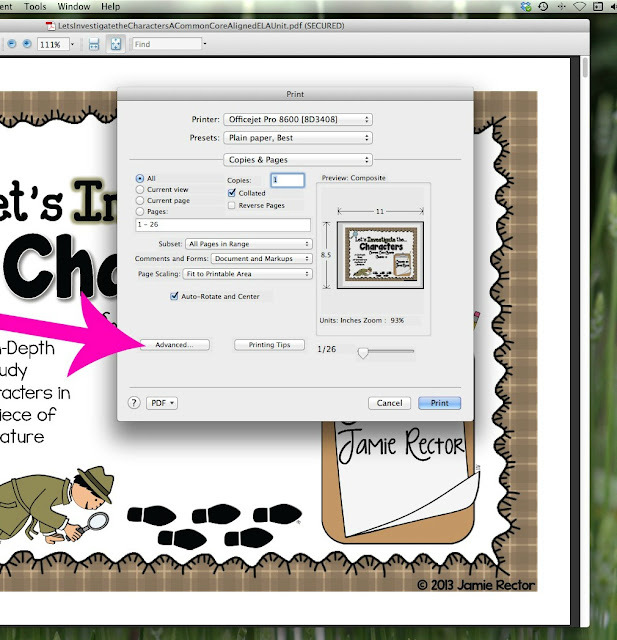 Then find the checkbox by Print as Image, click there, then click OK as shown below. So there you have it! All the Tips and Tricks that I have learned about saving and printing files from TPT! Now, please keep in mind, only a small percentage of buyers ever have problems like this, but if you do have any of the problems above...First, DON'T throw your computer, just follow the steps above. :) I have tried to make it as easy and visual as possible. 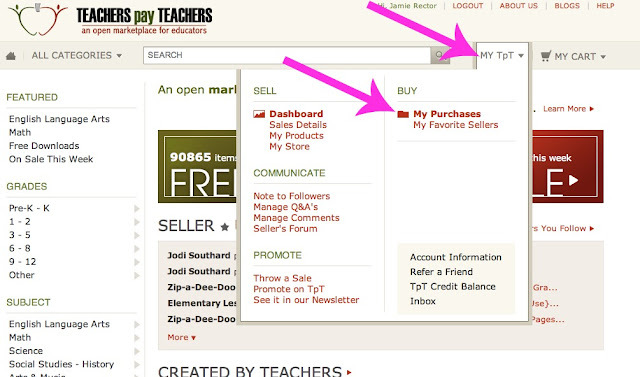 In crazy, abnormal, rare cases where you have tried all of the above and are STILL having issues viewing, saving, or printing a file, go to your My Purchases page on TPT. It is found under the "MY TpT" menu. 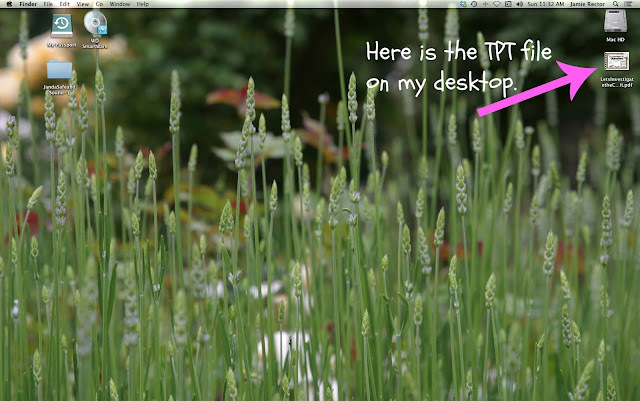 From that screen, TPT is just a quick Contact Us link away. They will get back to you super-quick and can even send you the file electronically by email if that's what it takes. 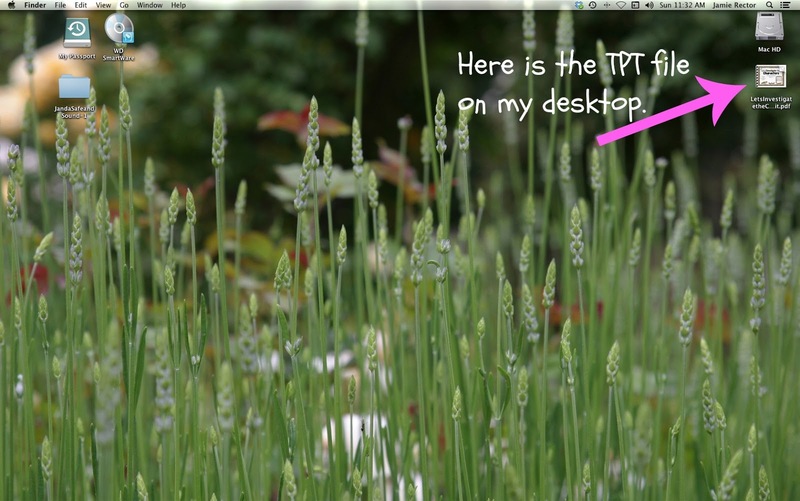 You can also find the Contact Us link at the bottom of any TPT page. OMG!!! Such a great post! Oh my goodness - what an awesome post! Thank you SO much for taking the time to write this up. Super helpful! This is great! Thank you so much for the great tips!! Oh, this is absolutely EXCELLENT! Thank you! Bookmarking! Absolutely AMAZING Blog Post!!!!!!! Love it!!! Love this! Will be bookmarking this to pass on to my confuzzled buyers. Great post! I'll be pinning this one! Thank you so much! I just answered a Q and A with a link to this post. Now I am pinning it so I can use it for future Q and As. This is a great tutorial and am sure many like me have benefited from it. At times we overlook simple procedures just because we are used to doing things in a certain way and think that using the shortcut way of doing things that we are used to is how things should always be done. thank you for sharing these tips with us. This is an amazing and well-needed tutorial! I am your newest follower and I will be sending my customers to this tutoral!! Thank you so much for your informative post, I will have to refer TPT customers to it! Thank you! 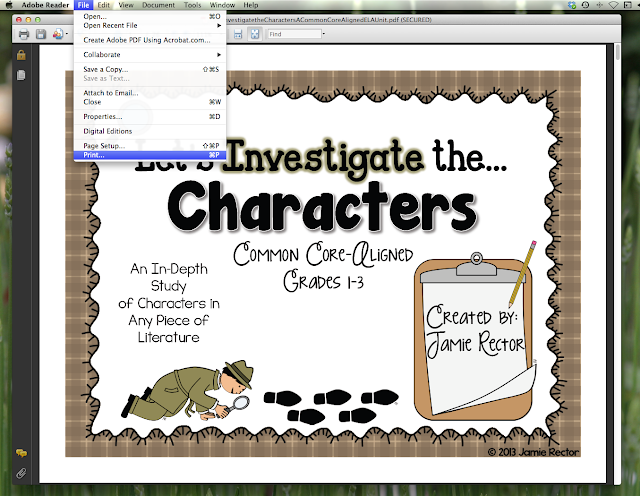 You've saved may sanity as I'm trying to make homework packets for my incoming firsties. School ends in 3 days and I haven't been able to resolve my problem until I read your page! Hello, Thank you for this tutorial! It was very helpful for me. 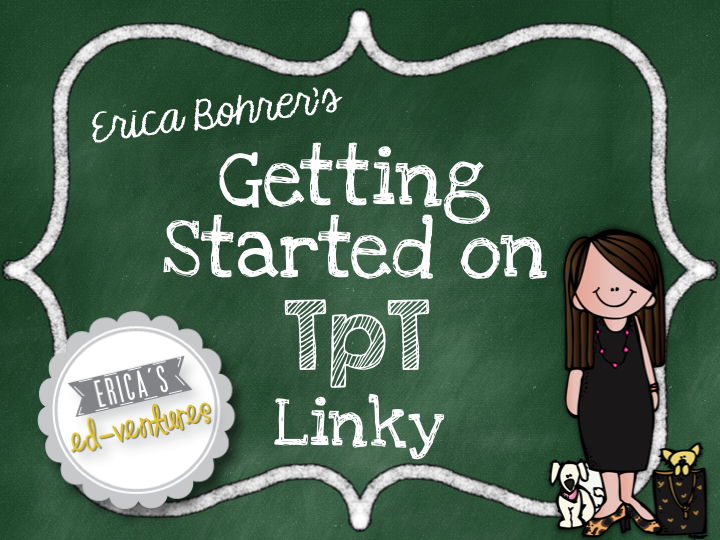 I am new to selling on TPT and I need to password protect my files but not sure about how my customers will be able to open. I have a customer who was not able to open the file and I was not sure how to explain this to them. Advice please?! Thank you! Bless your sweet heart for posting this! These are by far the most frequent concerns I get from buyers on TpT. I will be pinning this, too. Thanks for explaining it all so beautifully! Love the helpful screenshots! You are absolutely wonderful! This is a great post for buyers and sellers. Thank you!!! I just bookmarked this page to pass along when I get these questions! Thank you so much! This is so helpful! I bookmarked it, too, so I can share it with customers who are having difficulties. Thank you! Thank you for the expertise!!!! This has been a very helpful post.